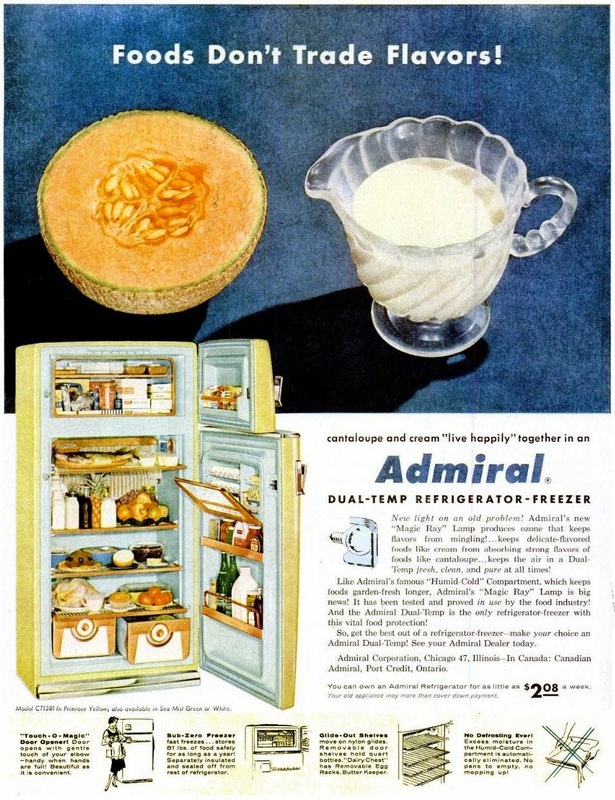 Personally, I think a cantaloupe-cream combination would be rather sublime, but let's not cast any shade on Admiral's 1955 innovation. And I don't mean that metaphorically, either; the 'technology' employed by the manufacturer to minimize flavor transfer is—wait for it—a light bulb. Not just any light bulb, of course. The 'Magic Ray' lamp allegedly emitted ozone, which supposedly kept fruit tasting like fruit instead of dairy products.